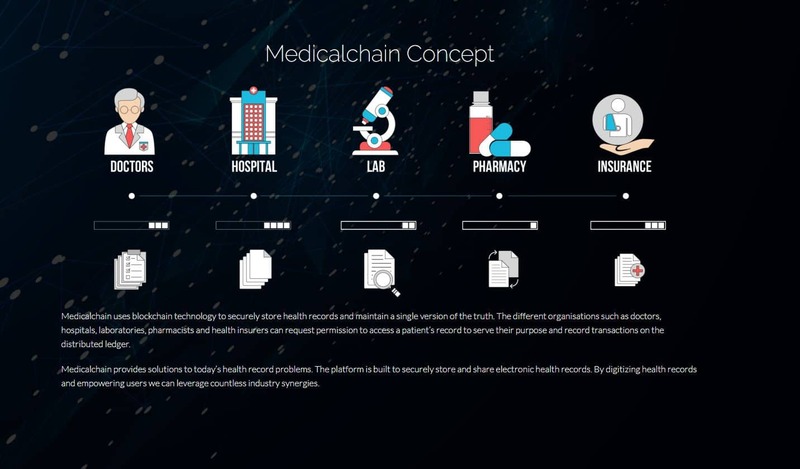 Medicalchain or Medtoken is widely regarded as revolutionary Blockchain system because it addresses an unserved market in the cybersphere: health patients who want fast, complete and concise medical assistance. It also provides a convenient access to health professionals, such as doctors and surgeons, to help their patients. With privacy and security regarded as premium in this part of the blockchain, patient or an owner of a token will have all their medical records available in one platform, as opposed to having various documents in several hospitals and clinics. Their physician or any other health professional can consult these records at any given time. All payments are also made through cryptocurrency. A token is the coinage of Medicalchain. It is also how a patient can place all his medical data on the platform. Two kinds of companies will fund his entrance because they want access to his medical information with his consent: pharmaceuticals and insurance companies. Another advantage of Medicalchain is that its online communication also makes conversation between health professional and health patient constant, regular, and unencumbered. The patient can contact a physician who is on the blockchain directly through the Telemedicine Platform without going through several hoops or channels of communication. These transactions are auditable, secure, private, and are recorded as a transaction in Medicalchain’s platform. Medicalchain also continues to expand its reach through innovation. One feature that is now in the pipeline is the information bracelet that is worn by the patient. The patient determines which of their medical data can be stored in the bracelet. Should the patient suffer an accident or injury and is rendered unconscious, e.g. an automobile hit-and-run, the physician present would not waste time looking for information to treat the patient. He can check the patient’s updated medical data in the information bracelet and base his treatment on the data they give. Preselling period for Medicalchain tokens is now closed. The value of a token acquired through a public sale is $0.20.